GTR High Performance is happy to annouce their annual "Cruise to Fabulous Fords Forever car show at Knotts Berry Farm". 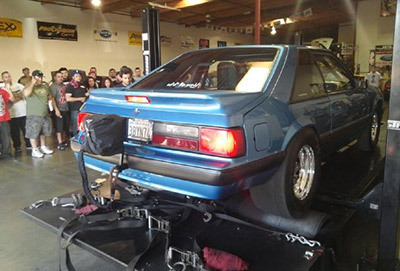 For over a decade, GTR High Performance has welcomed any and all Fords and Mustangs to caravan to the Knotts car show, taking place next month on April 19th. The Knotts car show is the largest Ford-only car show on the west-coast, so its heaven for Ford-fanatics! In years past, GTR has managed to round up close to 100 cars and trucks to participate in the cruise to Knotts, which is VERY impressive site. As cool as the Knotts car show is, for many, the cruise is the highlight of the day. How often do you get to see nearly a hundred of Southern California's finest ponies on the road at the same time and going to the same location?! For those that have never attended, the Knotts show is free to the public and there are no admission or parking fees, so there is no reason not to go! If you would like to join team GTR in the cruise to the show, arrive at GTR High Performance by 7:30 am. Mingle with others in attendance and share ideas and experiences with your Mustangs. We expect to depart to Knotts and hit the road by about 8:00am. Assuming an hour drive (that will allow for traffic), that will put us to arrive at Knotts by 9:00am. The Knotts car show officially starts at 10am, so that will leave plenty of time. For anybody that is actually participating in the Knotts car show and is displaying a car, Knott's officials have asked that you arrive by 10am, so we will arrive with plenty of time for you to get your car in the show and set up. Spread the word and let's make this the biggest GTR cruise to Knotts yet! 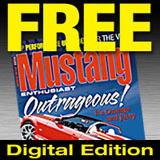 Check out what KJ Jones from 5.0 Mustang Magazine had to say by clicking here.